Dr. Ph. 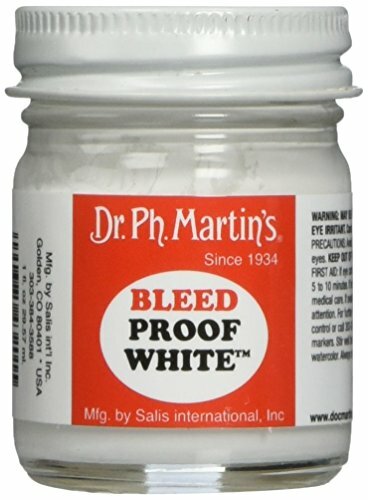 Martin's Bleedproof White is an opaque watercolor for covering dye colors, markers, and designer colors. It is not intended for mixing. Comes in a 1.0 oz (30 ml) glass jar.